At Multibet Kenya we provide post mega jackpot analysis on all 17 games to help us analyze what we did right when our predictions unlock sportpesa mega jackpot bonuses or to show us where we might have gone wrong if we miss the bonus levels. 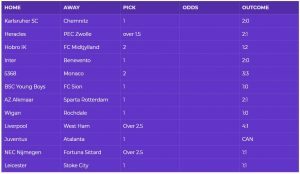 Our customers are assured of an after action report when they purchase the sportpesa mega jackpot predictions from us so as to enable them understand our methodology,where we went right or wrong and where we are going to tweek or improve our methodology. A friend called Mwangi had been taking extensive time in analyzing the sportpesa mega jackpot games and coming up with predictions that he considered to be solid and reliable but every time he would place his Kenya shillings one hundred in sportpesa to lock his 17 game predictions he always ended up missing the cut with one or two incorrectly predicted games. He kept at this for more than six months without every unlocking a bonuses and this frustrated him extremely as he was always so sure his analysis methodology was solid and his predictions were based on facts and not emotions. My other friend James as well was a prediction enthusiast,undertook similar analysis of the 17 games that constitute the mega jackpot and always came up with his predictions which he as well locked them into sportpesa with his Kenyan shillings one hundred.The irony with my friend James is that there were times he missed out on the bonus but he occasionally managed to hit up to 13 correct predictions on the games. Now i always wondered why these two intelligent individuals who had exemplary capabilities of analyzing the sportpesa mega jackpot games always had the polar opposite of results when they placed their bets. Curiosity got the better of me and I begun digging for information from both of them to understand their methodology,what they both considered when they analyzed games and what how did they come about their predictions.Irony was that their methodology was almost identical apart from the sole difference that James always kept a record of his predictions and the outcomes of the games.He was then able to go back to his records anytime the same teams were facing off or when teams in the same league were facing off and would chart a trend. This small difference of keeping track of results was the major difference in getting predictions for two or three additional games correctly and in turn unlocking the bonus. It is human to fear getting results just like the when you were in school and anxious about getting your exam results or when you interviewed for that job and almost went insane waiting for feedback but results are what lets us know if we need to improve or if we are already there. Sportpesa offers the capability to search for results of all the games they offer and this can be accessed through their results tab/page.This is clearly visible on their home page as per below image. In the results tab you are able to search the results of all matches by simply inputting one of the teams names who played in the match and pressing search. Unfortunately the sportpesa results feature does not allow users to get the results for the mega jackpot games as a whole and one has to each of the 17 games individual which is quite a task. The only way to view the mega jackpot game outcomes on a single display is to view the mega jackpot table on sportpesa before the new mega jackpot games are uploaded meaning before monday morning. 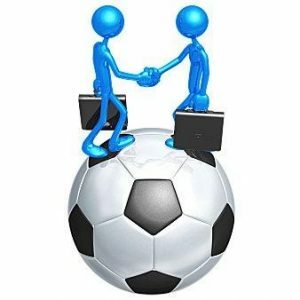 Multibet Kenya however through its post mega jackpot analysis will provide the results of each match on a single easy to access platform which will as well provide game by game feedback on why our predictions were right or wrong and like James you will be able to leverage this free information to create a trend of your own that may possibly aid your future wins. As Multibet Kenya we will be posting our post mega jackpot analysis on our website every Tuesday as a detailed post such as this one and our customers as well as non customers will be able to access this information for free and use it to their advantage. We are the first in the region to provide this kind of information on predictions that we have provided and we hope that this will prove that we are in this to ensure that our customers get value for money for when our customers win we as well win. The post will highlight the predictions we had shared,if they were correct or wrong,if wrong where we got it wrong and how we plan on adjusting our methodology to ensure this does not happen in the future. 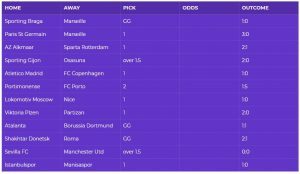 We will then be using this adjusted methodology which will be continuously evolving to provide predictions of the future mega jackpots. As multi bet we always post our results of our multi bets be they positive or negative as we believe our customers can only gain trust if we are always open and transparent. 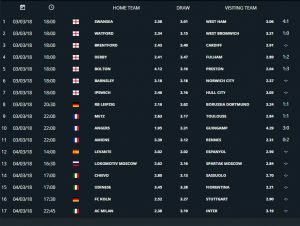 Our customers through our results tab are always able to view results of the previous week’s multibet performance at no cost and through this over time our customers as well as our potential customers are able to determine our prediction capabilities. With multibet Kenya you are always guaranteed quick relay of predictions directly through your phone on sms,24/7 support in the instant that you face an issue are have queries,accurate and honest results on all predictions shared and a dedicated team who will work tirelessly to analyze over 100 games a week to ensure that we offer our customers quality and high probability predictions. 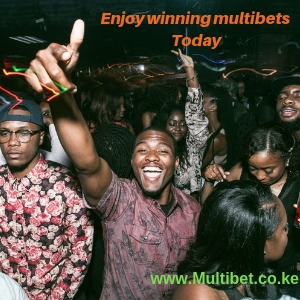 So if you have had a negative previous experience with fraudulent tipsters look no further than multibet Kenya for reliability and transparency.Visit our site for sportpesa today game results as well as mega jackpot predictions.